While nobody loves getting a root canal, sometimes they are just a necessary part of life. We at Montgomery Dentistry are “pros” at root canal therapy and desire for our patients to understand the process as well as we do. Root canal therapy becomes necessary when decay and infection infiltrate the nerve area of the tooth. At this point, saving the tooth requires the removal of all decay, nerves, dental pulp, and any bacteria residing in that space. We then take time to fill in the empty space with medicated dental substances that return the tooth to its complete function. It needs to be stated that root canals are always a choice and create an alternative to removing a tooth that would soon die. We often come across patients who think tooth removal is the easiest solution, but do not understand that pulling a tooth is just as costly and can lead to considerable problems for the neighboring teeth. Root canal therapy, on the other hand, has a very high success rate and often lasts a lifetime. Occasionally, new infections arise in the treated area and at that time the tooth would need to be retreated. The root canal process typically requires two appointments. Your dentist will first numb the area for treatment. At this point, a sheet of rubber material will be inserted around the infected tooth to keep the area dry. The surface of the tooth is then drilled to create an opening where small files can be placed. This is used to extract all decay, dental pulp, nerve tissue, and bacteria. After the tooth has been methodically cleaned, the opening will be sealed with permanent filling. If a second appointment is needed, however, a temporary filling will be used instead. When a second appointment is required, often seven days later, special dental substance will be used to fill the empty cavity of the tooth and then permanently sealed. The surface of the tooth will then be covered with a filling. Any tooth receiving root canal therapy should also be covered with a crown. This will provide long-term protection of the tooth, prevent fracturing, and give the tooth complete functionality. Sensitivity after treatment is common, but will fade away as inflammation decreases. 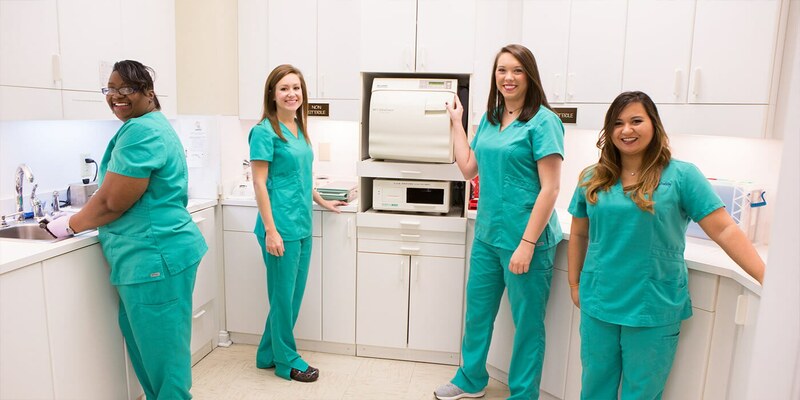 The team at Montgomery Dentistry will be sure to provide you with detailed instructions on caring for the treated area. Having regular check-ups and practicing good oral hygiene are essential to the health of your root canal therapy.